A genuine hospitality experience in Imerovigli! 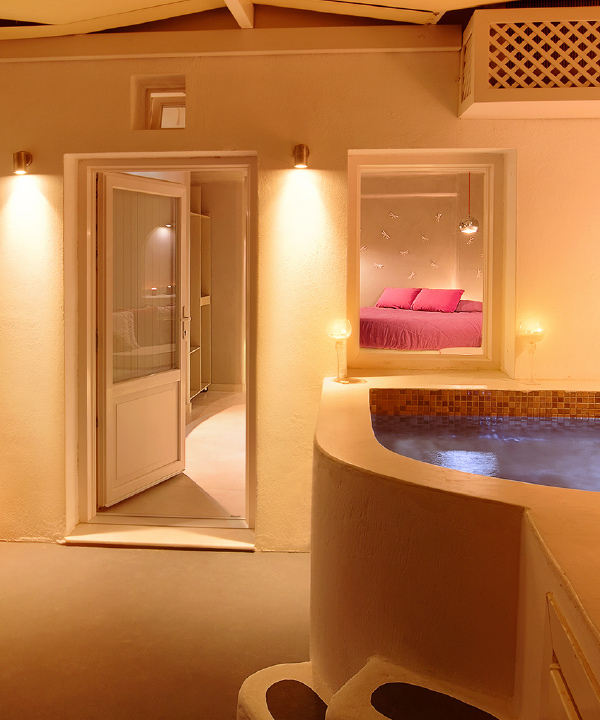 Enjoy the charm of staying in Kasimatis Suites! 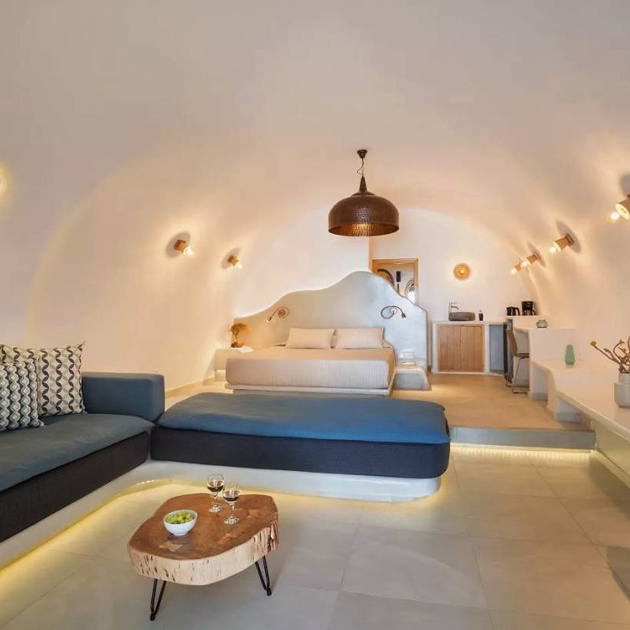 Kasimatis Suites in Imerovigli, Santorini is a family run suite complex on a privileged location with gorgeous views to the caldera and the serene Aegean Sea. 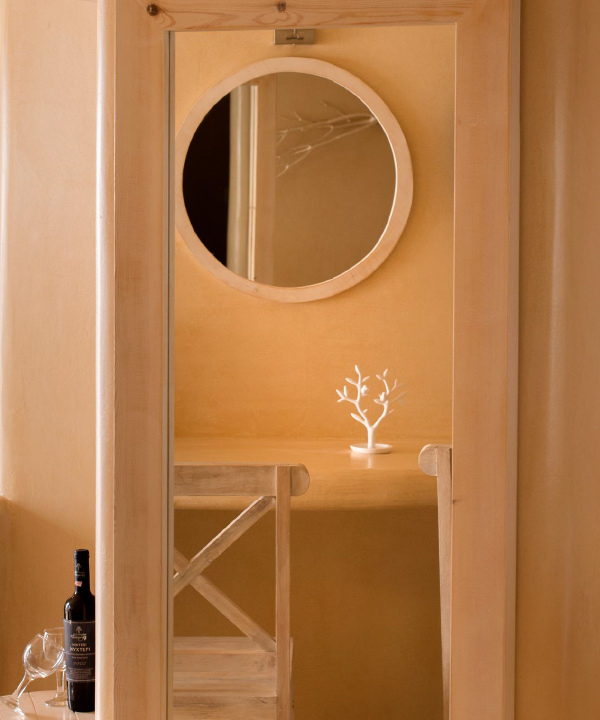 The Kasimatis family has owned for generations the canava, which was once used to store the wine as it matured; today this canava has been renovated into an exquisite suite complex that maintains the traditional architecture and unique characteristics of Santorini, but at the same time offers high standards of accommodation. 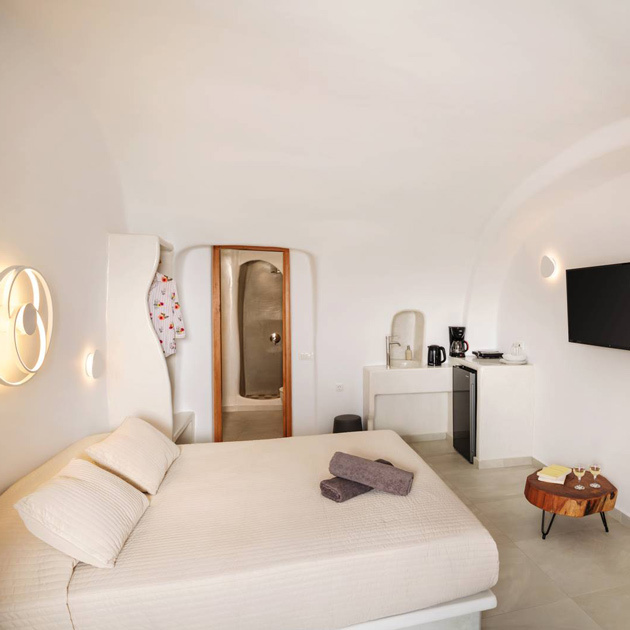 Kasimatis Suites stays true to the genuine architectural style of Santorini; thick whitewashed walls with bold lines, simple shapes and details in stone and grey; images that blend with the wilderness of Santorini and its fierce beauty. 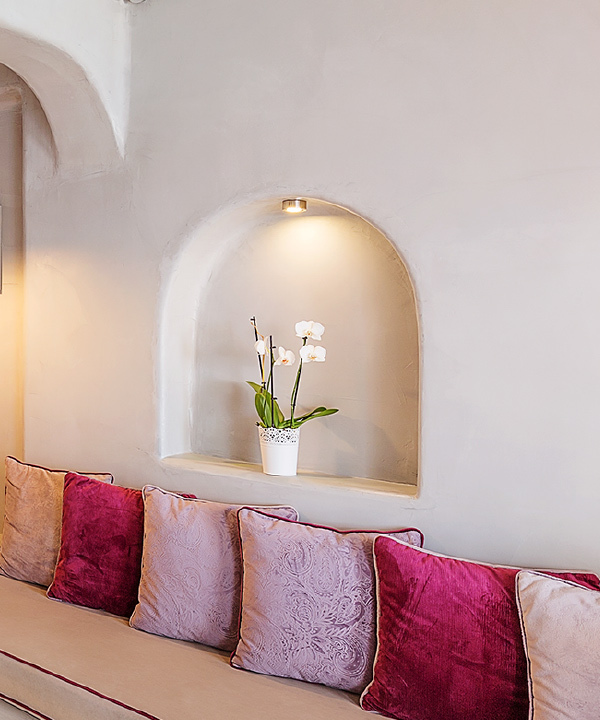 Each suite features a large private patio overlooking the peacefulness of the Aegean, where, engulfed in the sweet fragrance of flowers and the calmness of the locale you can enjoy the mystifying magnificence of the Santorinian sunsets. What tops it all up, what truly transforms this facility into a memorable accommodation experience though, is the amiable hospitality of the hosts, the Kasimatis family; with their Cycladic brio they will welcome you as friends, and with their discreet professionalism they will make sure that nothing will disrupt your holidays. 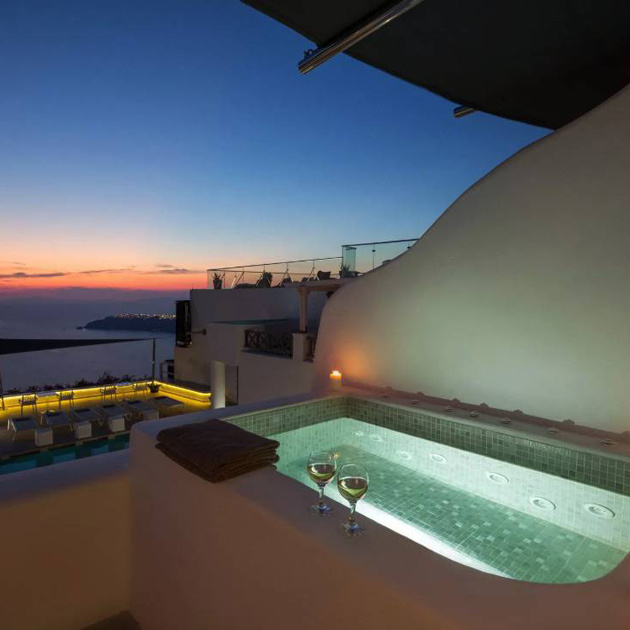 The Kasimatis Suites experience of Santorini is one that will remain in your fondest memories forever! 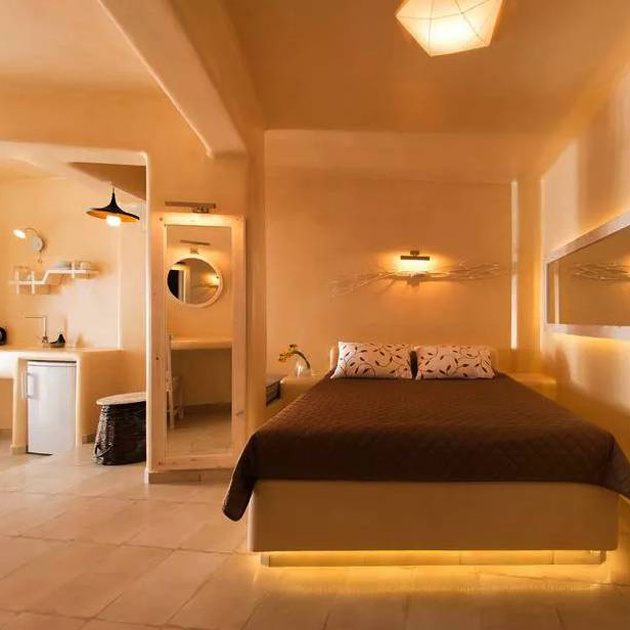 Enjoy your holidays in Santorini and stay in Kasimatis Suites where you can combine the best of both worlds; an impeccable accommodation in rooms and suites with views to the sea and the caldera of Santorini and the genuine hospitality of Kasimatis family! 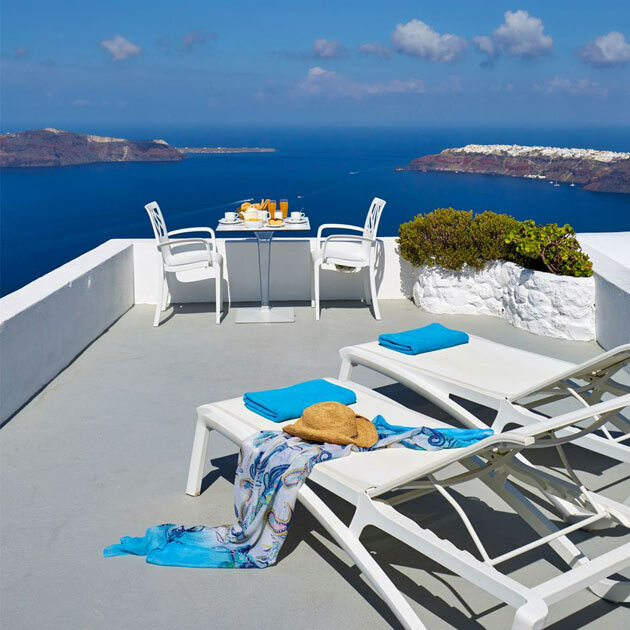 Here you will feel the serene ambience of Santorini’s landscape, the magic of sunset time and you will start exploring the island of Santorini, the thrills and the activities that will make your stay with us a complete experience.